If a Jeep Wrangler is your vehicle of choice, your likely a driver who enjoys adventure every day in and around Moose Jaw. You probably also enjoy accessorizing and customizing your vehicle to suit your adventurous preferences and style. Fortunately, the Jeep Wrangler is an inventive vehicle that includes removable pieces and added accessories for to enhance your driving experience — including removable doors. Here’s how to remove the doors from your Jeep Wrangler so you can feel the refreshing air on your next off-road adventure outside Southey. It’s that simple — now you’ll be able to enjoy a doorless ride in your Wrangler around and beyond Regina. Be sure to store the doors in a safe, dry place so you can reattach them if needed. You should also lube the door hinges on the Wrangler to make it easier to slide the doors on and off if you think you may frequently attach and remove the doors. Why Do Some People Take the Doors off Their Wrangler? The Jeep Wrangler comes with removable doors because there are many people who enjoy driving without the doors on their Jeep. There are a number of reasons for this. 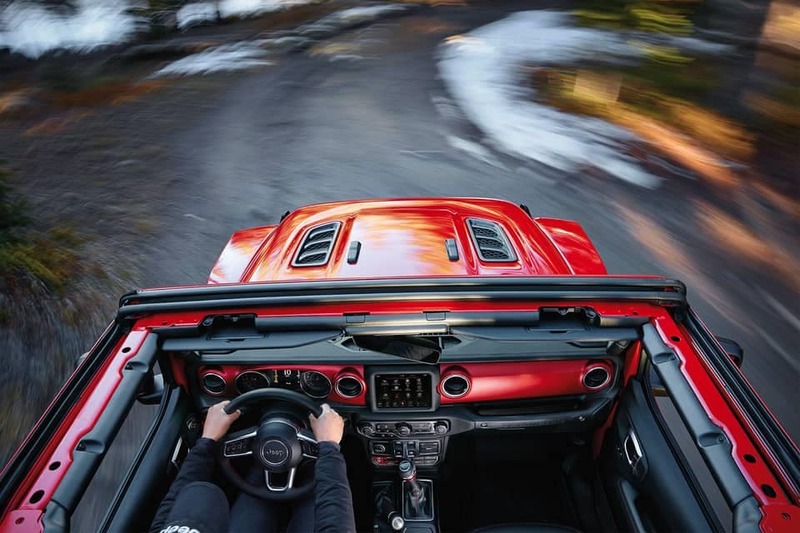 Primarily, if you’re driving around Carlyle or following an unbeaten off-road path, a doorless Jeep Wrangler gives you the most immersive driving experience. Outdoor enthusiasts love being able to feel the fresh air and like they’re part of the wild when they’re going exploring, so they rave about Jeep’s removable panels. There are practical reasons to take off the doors on your Jeep, too. Taking the door off your Jeep Wrangler, for instance, improves the the fuel efficiency of the Jeep by decreasing the Wrangler’s weight and thereby its drag. Whether you’re trekking down trails on an excursion or are driving into Humboldt, taking the door off your Jeep Wrangler improves your Jeep’s fuel economy. Need Help Taking Off Your Jeep’s Doors? If you’re worried about taking off your Jeep’s doors — or about adding any other accessories or parts to your Jeep experience — our service and parts teams at Crestview Chrysler can help you out. Schedule an appointment with a service technician today, or get in touch if you have any questions!